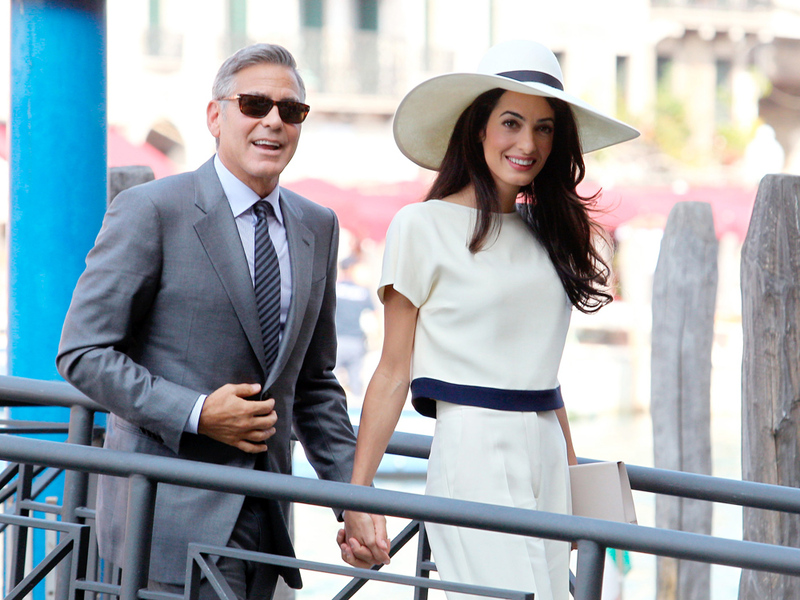 And the bride wore… The first inside images of George Clooney and Amal Alamuddin’s Venice wedding ceremony have been revealed after a weekend full of celebrations and a wardrobe’s worth of Italian couture outfits from the bride. But for the main event, human rights lawyer Amal chose an Oscar de la Renta gown, custom made with French lace veil, hand embroidery and pearl detailing. ‘He’s such an elegant designer and such an elegant man,’ Amal, 36, said of the designer. See all the new images in the gallery above. The images from the wedding have been bought by Hello! and People magazines in a joint deal, the fee for which the couple are reportedly donating to charity. While the bride chose de la Renta, the groom stuck with his tried and trusted favourite, Giorgio Armani. The covers also show new images of guests including Matt Damon, Emily Blunt, Cindy Crawford and Anna Wintour, both inside the party and travelling on a flotilla of water taxis before the event. ‘Marriage feels pretty damn great!’ George told the magazines of his three day-long party, which concluded with a 15-minute civil service on the city’s Grand Canal yesterday. One year on, the couple are looking happier than ever. Spotted heading out for dinner in New York, the Clooney’s are still making serious waves in the style stakes. 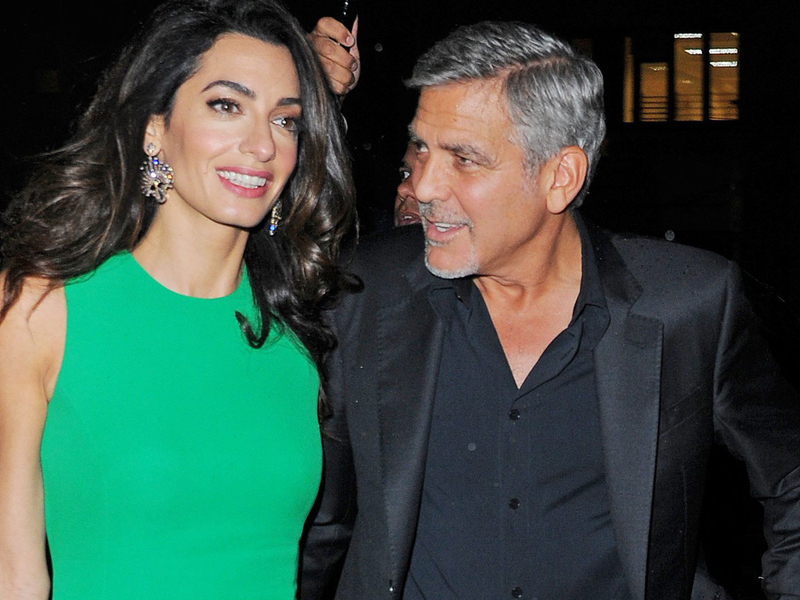 The pair, who recently celebrated their first wedding anniversary together, were seen sporting some seriously stylish looks, with Amal opting for this beautiful emerald green dress, and George looking his look a little more casual in a black jacket and shirt combo.